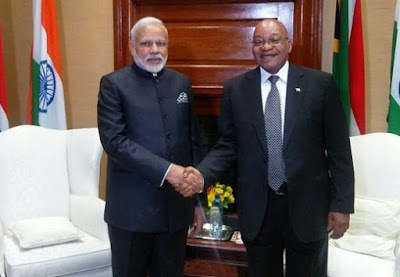 The Union Cabinet chaired by the Prime Minister Narendra Modi was apprised of joint issue of Postage Stamps on India-South Africa on the theme, "20 Years of Strategic Partnership between India and South Africa". The joint stamps were released in June 2018. The Commemorative Postage Stamps on India-South Africa: Joint Issue depicts image of Deendayal Upadhyaya and Oliver Reginald Tambo of South Africa. An MoU was signed to this effect between India and South Africa in May 2018.